WARNER! 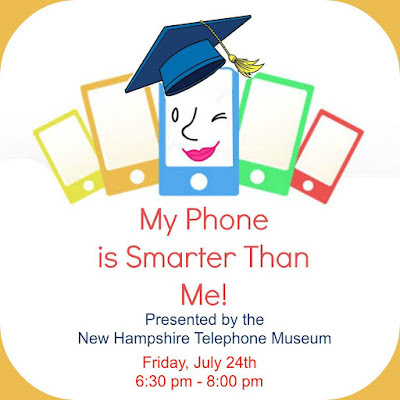 NH: July 24 - My Phone is Smarter Than Me! July 24 - My Phone is Smarter Than Me! Now that you’ve got that smart phone, ever wonder what it can do besides call people? Would you like to learn how to get the best value from that hefty phone bill or make the most of all the cutting-edge technology? Want to know how to save on battery life or which apps can make your life simpler? 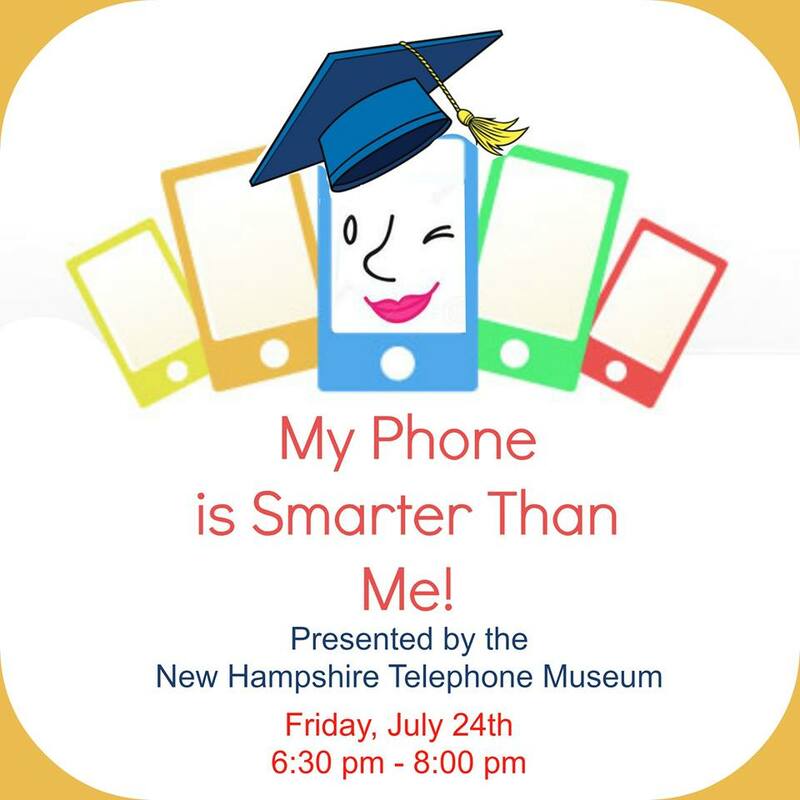 Bring your mobile phone with you and join us for this interactive workshop which will help you appreciate your smartphone as a tool not just an expensive gadget. Held in partnership with Gabrielle Shuler, Telecommunications Specialist and Sales Manager for New England Wireless/US Cellular.